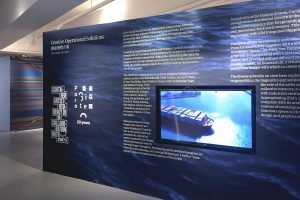 What makes an identity experiential? 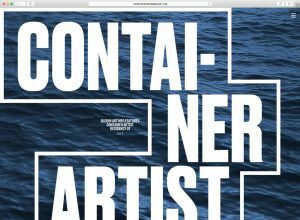 Container Artist Residency 01 took place on board commercial cargo ships as they navigated international trade routes. 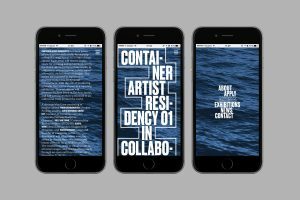 Our identity, carried through the website and exhibition design, capture the artists’ daily exposure to the industrial scale of global capital, immersing visitors in the sea.